Ocean Network Express (ONE) was urging shippers that have not posted General Average and Salvage Security on undamaged containers from the "Yantian Express" to do so or risk further delays and risk to the rescue plan for the cargoes to be unloaded from the vessel. While fire damaged cargoes have been removed from the vessel in Freeport, Bahamas undamaged containers wre still on board to be unloaded at a yet to specified location, with a plan to sail in late-April/early-May. However, a circular from ONE, an alliance partner of Hapag-Lloyd, said some cargo owners were yet to post security on the undamaged containers, a week after a similar notice to customers reminding them of the need to do so. Cargo will not be released until General Average and Salvage Security has been received. Additionally, any fees resulting from the missing security will be for the account of the cargo interest. ONE again reminded all cargo interests that posting General Average and Salvage Security was mandatory. With cargoes now set to take over four months to be unloaded after the original fire ONE warned of further delays if security was not posted by cargo owners. Failure from any of the cargo interests to post Security may possibly cause further delay or ultimately risk jeopardizing the overall rescue plan. Therefore, we appreciate all cargo interests’ immediate attention and action. 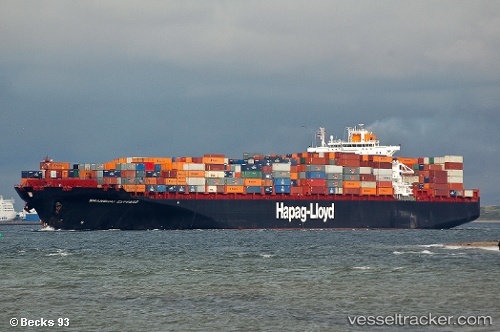 Despite salvors having offloaded all the fire damaged containers from the "Yantian Express", the vessel was due to reload containers that had been unloaded in Freeport, on April 12, however, that General Average and Salvage security had not been posted on some of the containers. The vessel was now not likely to leave Freeport until late April or early May to sail to another destination to unload undamaged cargoes. Shippers were facing further confusion over the fate of cargo aboard the "Yantian Express". On April 1 Hapag-LLoyd noted that discharged containers were awaiting transhipment, while those still on board would not be moved until results from technical inspections had been received. All damaged boxes which had been removed from the ship,could not be reloaded back onto the vessel. Alternative arrangements were being made. The company anticipated to conclude an arrangement for transhipment to an alternative discharge port shortly and shall keep shippers informed in this regard. The final port of call for the "Yantian Express" was still to be nominated as soon as approvals from port authorities concerned were at hand. Customers were advised to promptly contact the average adjuster to arrange for posting of general average and salvage security to safeguard timely release of their cargo. General average was declared on Jan 28, but the vessel will have to move to another port before boxes unaffected by the fire can be unloaded.